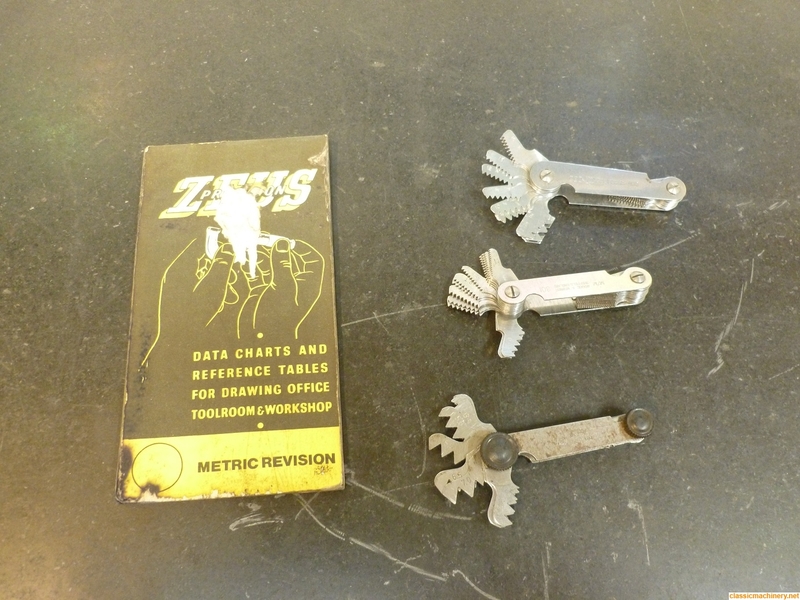 For all CMN members who own/restore or maintain machinery I would recommend that you purchase a set of imperial and metric thread gauges along with a Zeus book, used in combination with either a suitable micrometer or digital vernier it makes identifying unknown threads easy. Sorry the picture quality is not the best. Thanks as ever Fred for that little piece of history. Strange in someways when you think how the US retained imperial. essexpete wrote: Thanks as ever Fred for that little piece of history. Strange in someways when you think how the US retained imperial. essexpete wrote: Forgive me for sticking my nose in Fred but is that a little unexpected? That is a metric thread on a pre 1945 Fordson? I read on an engineering website that plugs used metric thread because they were developed in Europe, so I thought I would do a little research. the first successful spark plug in 1860 for his internal combustion engine. Albert Champion, a cycle and motor cycle racer found employment at Eduard Nieuport a French engineering company who were involved in early aircraft engines, there he learned about plug manufacture. He emigrated to Boston, America in 1889 to further his cycle racing career. There he started to make plugs to help pay his way using a tile manufacturer to produce the porcelain insulators. He returned to France in 1904 to raise money for a new venture in America and set up a deal with Nieuport, his former employer to ship spark plug components to him. On his return to America he set up "The Champion Ignition Co." at Flint, Michigan. He lost control of this company in 1908 and went on to start "AC Plugs" using his initials to name the company. Both the Champion and AC Delco names are with us today. Bosch were also very much in the frame and obviously all these used mainly metric threads and set a spec that others had to follow. To bore you a little further I also discovered an Irish connection. Remember KLG. KLG stood for Keneim Lee Guinness, of the brewing family. They started making plugs in Dublin in 1912. They developed a patented insulator made from laminated mika which was apparently more reliable than porcelain. The Royal Flying Corps in WW1 used these exclusively which probably explains why my father who was a pilot in the RFC would have nothing but KLG plugs in his cars. KLG were taken over by Smiths in 1919. That just leaves Lodge Bros. They developed their fathers patent and produced "Sintox" plugs with pink porcelain insulators at Rugby. Apparently during WW2 almost 25% of their output went to the RAF and most of the remaining 75% to the Amerlcan war effort.